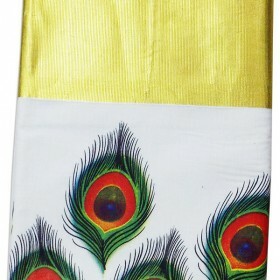 New Trendy collection of half saree model kasavu mundu. 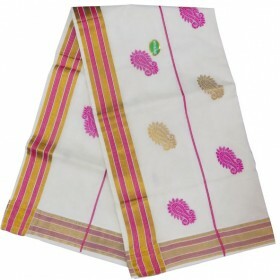 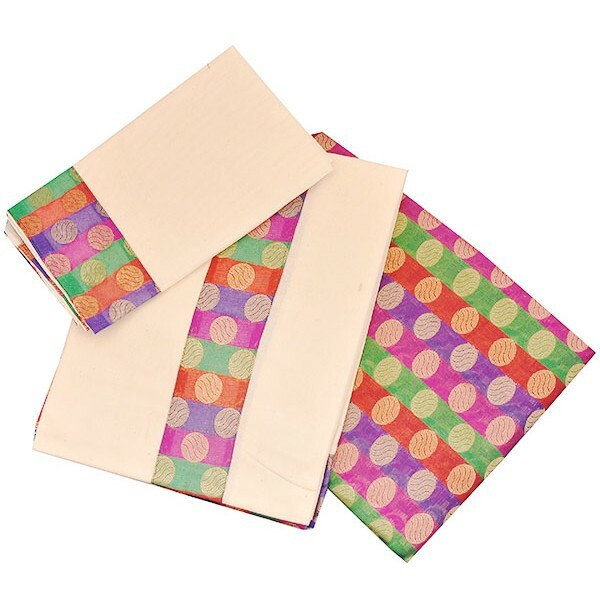 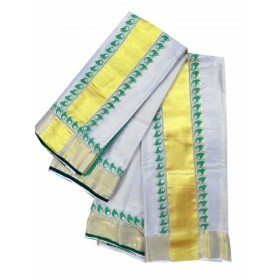 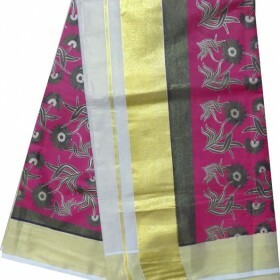 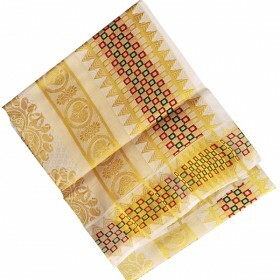 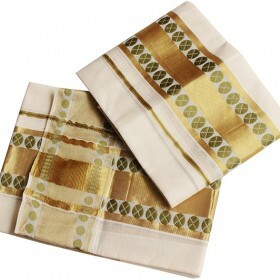 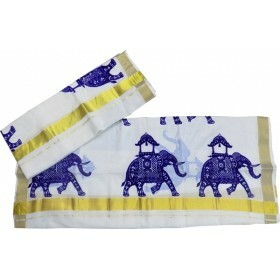 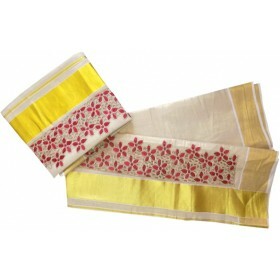 The set mundu having 2 pieces the melmundu is designed with full of brocade. 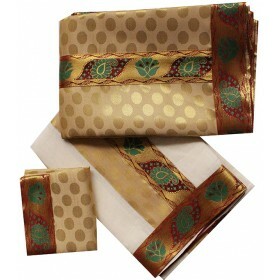 And the bottom piece having the brocade on the front jari. 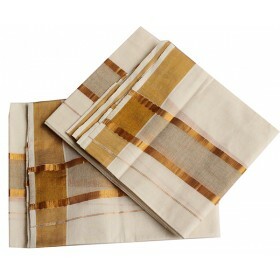 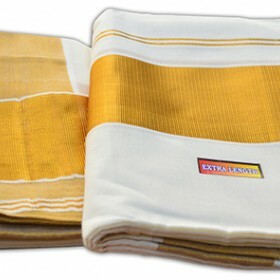 The mundu having with blouse pieces.